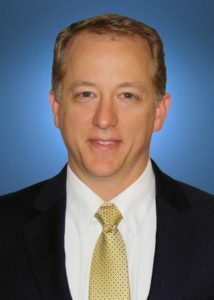 NEW YORK (February 6, 2017) – FlightSafety International announces that Edward Koharik has been promoted to General Manager, Visual Systems. He assumes this responsibility from Jon Hester who retired from FlightSafety after more than 35 years of experience in the design, development and support of flight simulation products and services. Ed leads a team of over 200 engineers, systems specialists, and service and support professionals based in St. Louis, Missouri, Austin, Texas, and Salt Lake City, Utah. Together they have developed many innovative products including the new VITAL 1100 visual system and CrewView glass mirror display. Prior to joining FlightSafety, Ed served in the United States Air Force for 23 years. In addition to his operations experience, Ed’s positions included a Senior Service Fellowship at the Naval Postgraduate School and staff assignments at Air Mobility Command and U.S. Transportation Command. Ed served as the Chief of U.S. Transportation Command’s Enterprise Readiness Center prior to retiring from the Air Force. FlightSafety’s VITAL 1100 visual system offers unprecedented fidelity for a wide variety of uses with full flight simulators and a complete range of other advanced training devices. It significantly enhances training by providing highly detailed mission specific imagery and exceptional environmental effects. Pilots also benefit from photo-realistic imagery up to 40-million-pixel-resolution, and wide field of views designed to enhance training. FlightSafety’s CrewView glass-mirror displays deliver the greatest level of realism with superior optical performance, and sharper image clarity. The true collimated images presented are free of visible distortions and artifacts out to mirror edge.